Speaking other languages, especially English, is indispensable for Indonesia if it wants to better improve its economy. October 28 marked the 90th anniversary of the Youth Pledge which declared three ideals: one motherland, one nation and one language. 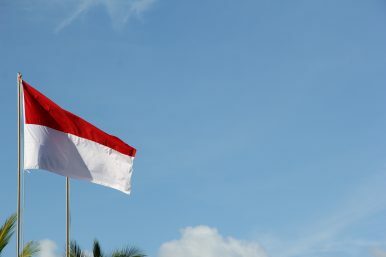 It proclaimed Bahasa Indonesia the official language of Indonesia. It has been a success, a big success indeed, that a nation consisting of over 17,000 islands, 300 ethnic groups, 700 spoken languages, could be united into one entity under the name of Indonesia thanks to Bahasa Indonesia. Such importance and victory, however, have unnecessarily inspired some policymakers to be overprotective against the growing presence of foreign languages, most notably English, in the life of Indonesians. Consequently, the language of the fourth industrial revolution was omitted from the Indonesian basic education curriculum. Such a linguistic-imperialism-minded and politically inspired view is decidedly against the spirit of globalization. In a more interdependent world it is clear that multilingualism is key to boosting a country’s economic growth. Research demonstrates that there is a direct connection between the English skills of a community and the economic performance of a nation. Looking at Indonesia, what is the general picture of Indonesian English proficiency? According to research conducted by EF Education First, the English proficiency of Indonesians for 2017 was low and even lower than the previous year. Other measurements for the same year also reveal similar results. Indonesia ranked bottom among 47 countries listed in the 2017’s Mean Performance of TOEIC. Indonesia’s average score in TOEFL IBT was 85 which is lower than Malaysia’s (91) or Singapore’s (97). For IELTS Academic the overall score of Indonesian test takers was 6.38, lower than the required minimum score of 6.50 assigned by most universities abroad. Last but not least, Indonesia’s average score in the TOEFL ITP for 2016 was as low as 473. The above results, though informative, still cannot demonstrate the real circumstance of the Indonesia’s English proficiency. EF is an exclusive English course operating in big cities whose customers are mostly middle-to-upper income urban citizens. Therefore, the results of the research are very likely to be city-centric. Meanwhile, apart from the TOEFL ITP, all the previously-mentioned English testing schemes are usually taken by individuals who wish to study abroad or professionals who intend to work overseas. Hence, the results are again skewed. Nevertheless, the data match my observations at the Language Development Center of the State Islamic University Sulthan Thaha Saifuddin Jambi. Some 90 percent of the students who take a required prediction TOEFL Test fail to pass with the minimum score of 400. The test is undertaken regularly and done by a different batch of students. Implementing the KKNI university curriculum in the subject of English becomes a mission impossible due to the demandingly high standard of the system. The poor performance, to some extent, links to the absence of English in elementary school and the short duration (4 hours a week) of English in middle and high schools. Here lies the paradox as well as the inequality. It is paradoxical that on the one hand, the use of English as a foreign language seems to be discouraged by the government as a means to preserve Bahasa, but on the other hand, some governmental institutions require English in their recruitment requirements. In this year’s CPNS test for aspiring civil servants, for example, there are at least six ministries that require a TOEFL score for their future personnel in order to be qualified to join the race. More and more universities oblige its students to reach a certain score of TOEFL in order to be able to graduate or to be admitted in the first place. The Indonesia Endowment Fund for Education (LPDP) as well as other government-funded scholarships require proof of proficiency in the English language, including to those who wish to study on Indonesian campuses. Scholarship providers both from local and international donors are widely welcome as they are perceived to be good to help Indonesians to be more internationally-educated. Academics are pushed to publish their research papers internationally through a wide variety of policies and incentives. Businesses are advised to go global to compete with other multinational-corporations. International companies are welcomed to open operations and offices in rural and major cities of Indonesia. So on, so forth. As a consequence of the Indonesian government’s paradoxical stance on English, inequality in terms of proportion becomes so obvious. Golden opportunities to go global for professional or educational purposes are dominated by urban Indonesians who have access to English classes or economically-privileged individuals who can afford to study at top-notch education institutions such as EF or international schools. Rural residents, who lack places to study English, and Indonesians who are from low-income families are the ones who always have to get out of the ring before the match even begins. They do not possess the mandatory tools to fight for jobs that require English proficiency, thus every opportunity that knocks is just another story to forget. The youth exchange program run annually by Ministry of Youth and Sports Affairs in which I am on one of the regional selection committees ( as well as being an alumnus) are always dominated by participants who either study or are from the city of Jambi. Rarely, if ever, are the selected delegates from rural areas of Jambi province. The recipients of the LDPD regular overseas scholarship sin Jambi are also monopolized by individuals who either reside or go to universities located around Jambi City. Another consequence is the poor performance of Indonesia in international publication index. Indonesia ranks 52nd in Scimago Institutions Rankings list which is below Asian countries with smaller populations such as Singapore (32nd) and Malaysia (34th). China and Japan are respectively ranked 2nd and 5th despite the two economic giants often being perceived to have poor English skills. Indonesia does not lack of qualified academics to publish high quality research papers. The problem is that beyond other technical factors, there are not many Indonesian scholars who are capable of writing academic papers in English, preventing them from submitting their research to international journals. With all the problems and challenges, it is imperative for the government to get English back to elementary school as research shows that the best time to learn a foreign language is from birth to the age of 10. Other Asian countries, even though they give a high priority to their native languages, include English in their elementary school curricula. In China, English is a compulsory primary school subject; meanwhile, Japan has long implemented English language activities starting from the fifth grade. All ASEAN countries, except Indonesia, apply the same policy of introducing English in elementary school. In addition, the government also needs to play a greater role in facilitating the use of English in public, particularly for rural populations. Media campaigns, regular trainings, and the establishment of English language centers at which students can study English are among the solutions that the government can apply for underserved populations. With the momentum of the Youth Pledge, the government needs to review its commitment regarding the English language. English should not be viewed as a threat to the existence of Bahasa Indonesia but an opportunity to prosper in world. It must not be seen as a form of indirect imperialism but a tool for Indonesia to advance. Muhammad Beni Saputra is an Indonesian writer and lecturer at the State Islamic University Sulthan Thaha Saifudin Jambi, Indonesia. Will Foreign Policy Matter in Indonesia’s Presidential Election? Under what conditions does foreign policy influence voters?